^ Cymru am byth! The meaning behind the Welsh motto. WalesOnline. 6 February 2015 [22 March 2016]. ^ Statute of Rhuddlan. legislation.gov.uk. [26 July 2014]. 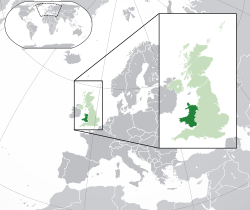 ^ Laws in Wales Act 1535 (repealed 21.12.1993). legislation.gov.uk. [26 July 2014]. ^ Government of Wales Act 1998. legislation.gov.uk. [26 July 2014]. ^ .cymru .wales. [7 October 2014].